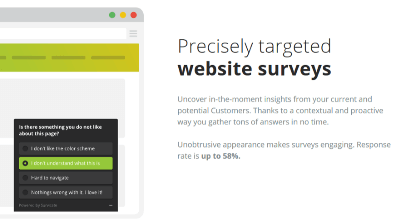 Why Would You Want A Survey On Your Website? Did you ever wonder what your website experience is to those that visit? You should, because what you think they see and what the actually see may be two different things. In fact, what they see may be the reason you are not getting as many new patients as you would like from your site. Some sites take so much work and you are so emotionally connected to it that it is hard for you to be objective. Then there are those people that buy a site designed by someone that specializes in your niche. These sites are all the same except for a slightly different look and feel but all have the same basic content. You think these people are experts in web development so you buy into the hype even though most of these sites get punished by Google for having the same content as everyone else. Is it a good site? Is it a bad site? Why is it now working? Why am I not getting new patients from the site? There is really only one way to know. Apples uses it them! Amazon uses them! Microsoft uses them! Skype uses them! Every successful business uses them and you should to. Surveys! 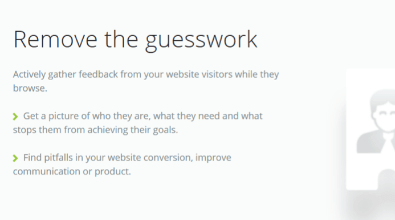 Surveys let your visitors tell you what is wrong so you can fix it and give people what they are looking for. Give a potential patient what they are looking for and they will become a patient. 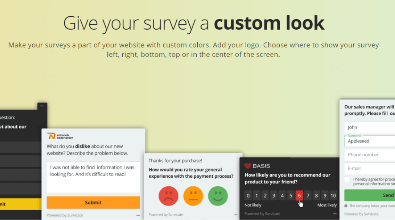 As you scroll down this page a sample survey we designed will pop-up for you to take. We wanted you to have the experience that a potential patient will have when they come to your site. Go a head and take it and then continue reading down the rest of this page. Surveys will let your potential patients tell you exactly Why, What, How and Who. After all this is about them right?. Surveys on average have a response rate of up to 58%. That means that you will get input from up to 58% of your potential patients from visiting your site. No longer do you have to depend on your subjective view or your staff’s or the person you bought the website from. Surveys can be designed for the look and feel that gets the best response and engagement. From Colorful iCons to Rating Scales, to Form Fields to capture Leads. Our surveys are designed to work. 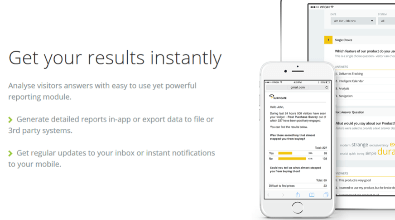 Have the results emailed to you daily, weekly or monthly, or simply log in any time you want. Fully retrievable from your desktop, tablet or smartphone. Surveys allow you to make changes on your website right away and see the results right away.